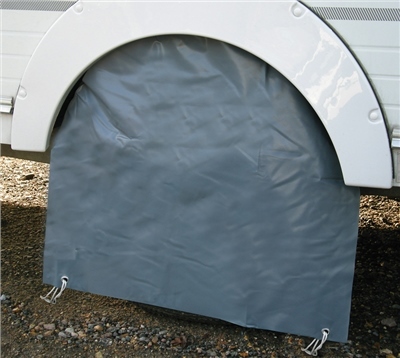 A simple cover to protect that expensive tyre on the caravan from sunlight (UV degradation). UV possibly causes more damage to the tyre than wear, given the miles that our caravans typically cover. Easy to attach and to tie down, it also provides additional draught exclusion along the skirt when deployed with the awning.